Here we are today with another review that comes courtesy of our friend Lou B. At a recent herf, Lou and I traded/gifted a few cigars to each other and so I decided to review a few of them. 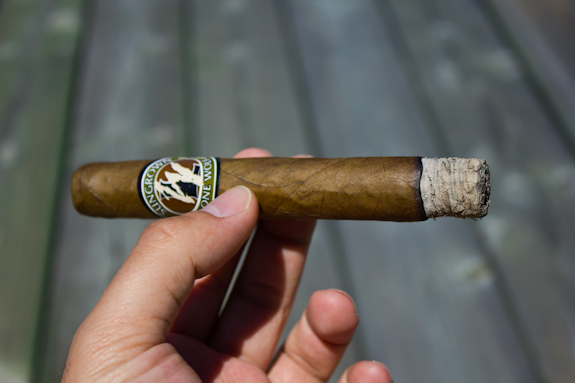 Today’s cigar is one I had never heard of prior to him giving it to me so I figure I’d do a review and see what happened. 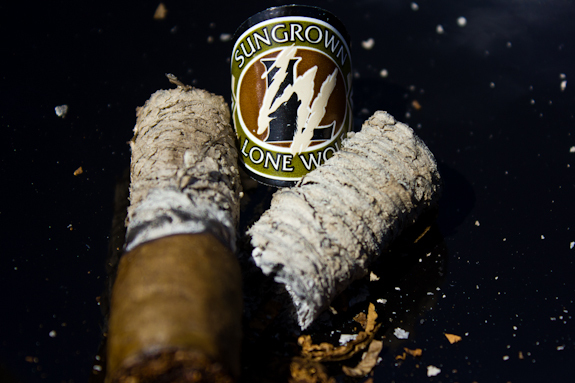 The cigar today is called the Lone Wolf Sungrown. 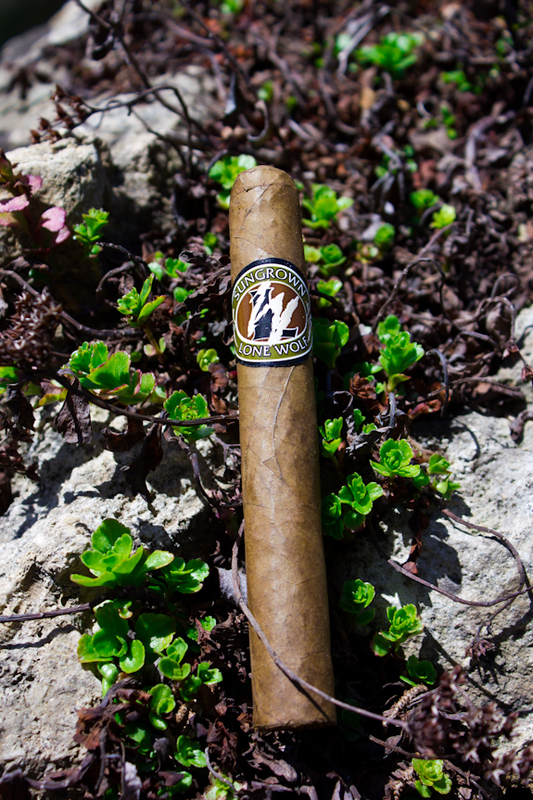 The Lone Wolf wholesale and retail Cigar Company was founded in 1996 by cigar lovers Chuck Norris and James Belushi. As friends, they shared a love for cigars, Norris and Belushi set out to create a classic American cigar company that represented their values and ideals. A cigar line that has Chuck Norris involved?! Awesome! haha. But aside from that cool factor, the Lone Wolf makes a few different cigars. They have some in-shop proprietary lines which include the Signature Select, Lobo Rojo and Lobo Fuerte. 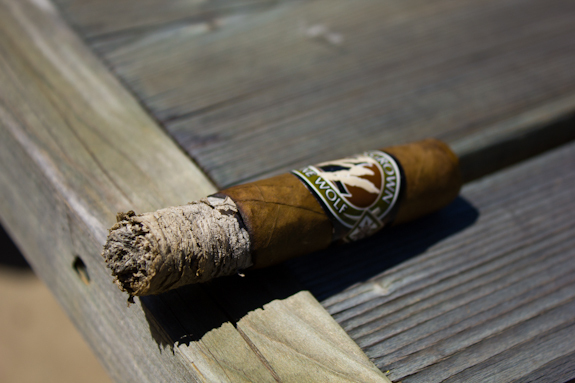 Also, the Lone Wolf Cigar Co. mass distributes a couple blends, namely the Sungrown and Wolfpack lines. Now the store itself is located in Santa Monica, California. 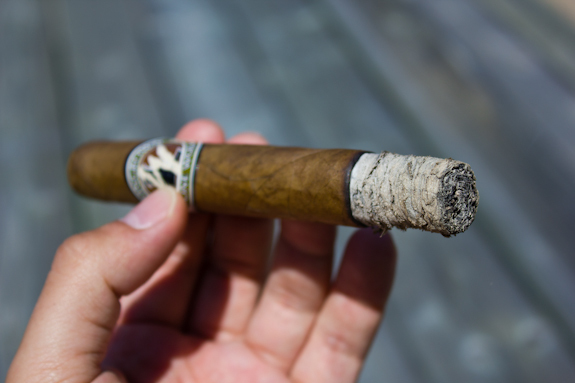 One thing you might notice if you google this cigar is that the band has changed a bit. A lot of the pictures on the web seem to have an older yellowish label. That might be the “Wolfpack” blend but I’m not 100% sure on that. And from what I read the Wolfpack is the same Sumatra wrapper so I’d have to do some more digging to find out any further differences. But anyways, the band has the same logo, but the color is different and the word “Sungrown” was added on the top curve. Now the vision of Lone Wolf cigars was to create a classic American cigar company that would impress aficionados and casual smokers alike. 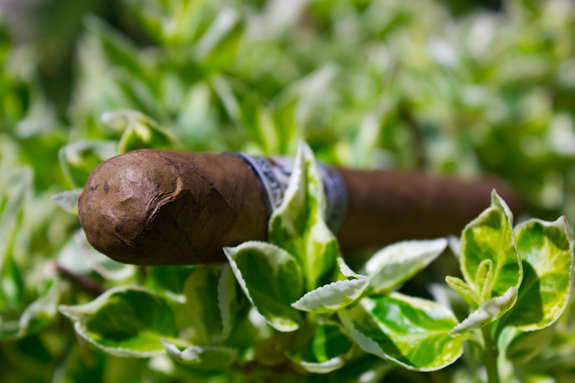 Not only that, but to offer them at fair prices, and I have to say that this cigar is offered at a VERY fair price. It can easily make your daily rotation without breaking the bank. So let’s see if this budget cigar is worthy of being included into that daily rotation or if it’s another cheap cigar to toss into the bushes. this is not the first appearance of this tasty brew on the website and won’t be the last. The Coffee Porter by the local Toronto brewery called Mill Street is one I always seem to keep stocked in my fridge. 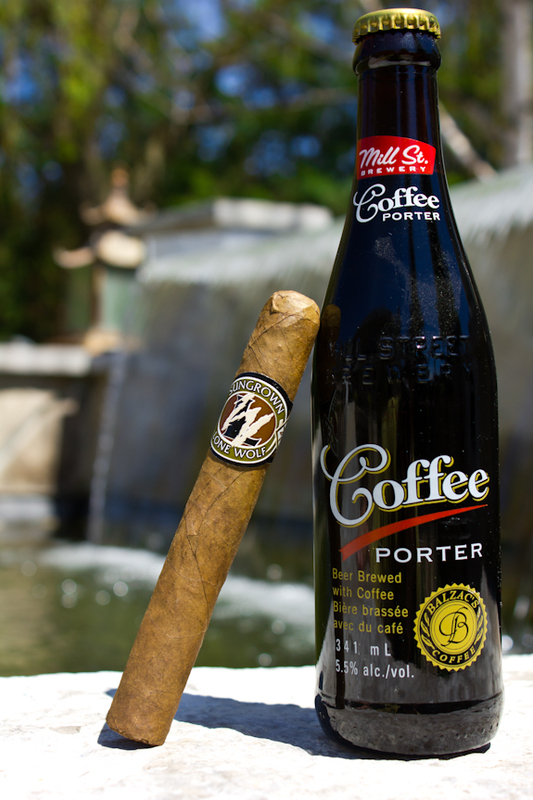 It’s got a nice thick texture that overflows with malty and coffee flavors that almost always make a perfect pairing to my cigars. If you ever come across this, be sure to give it a try. 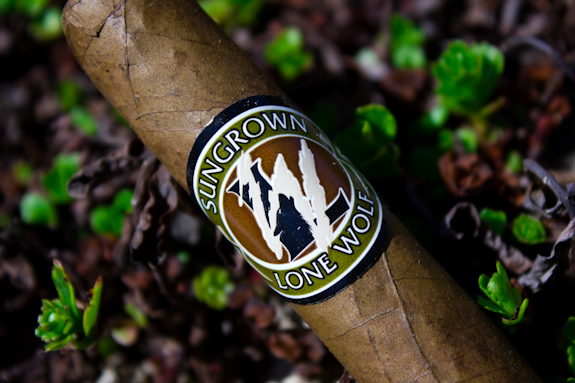 It paired very well with the more subtle flavors of the Lone Wolf Sungrown and added the nice coffee flavors to the mix. Other good pairings here would be coffee, an lighter brew such as an amber or blond or maybe even some tart juice. Nice write up, Daniel. Sounds like a great deal and a good morning cigar. From what I can gather, the Wolfpack’s wrapper is Sumatra, but not sun grown. They list the Sungrown as a medium and the Wolfpack as mild. Now I’m craving a coffee flavored brew. You’d think that here in Seattle, they’d be easy to find. Not necessarily true. You nailed it there jjo! I actually had written Sumatra a couple times when I wrote this review for some reason so I probably had the two mixed up and thought there were the same for some reason. Seems the Wolfpack is even cheaper if that’s possible… I wonder if they are good too. For sure it’ll make a nice smoke with your morning coffee and you can’t complain for this price. Starbucks?! Blasphemer! LOL There are much better coffees around here to choose from. Hahaha 🙂 And we have good chocolates too. An espresso and chocolate brew (with maybe a liitle bit of orange zest?) sounds good to me. I didn’t get this email sent to me Daniel, glad I went to the homepage. I know it’s not the most multi dimentional cigar in the world but for the price it’s got good flavours and great construction. I must say, the colour of that wrapper didn’t impress me at all. It’s smokable and enjoyable. As jjo said, a great morning cigar. A coffee flavoured brew should just about finish it off nicely. Thanks Lou, I’ll have to look into this one. BUT it should be working now! When I post my review next week (monday more than likely) will you let me know if you get the email? Thanks for the review! 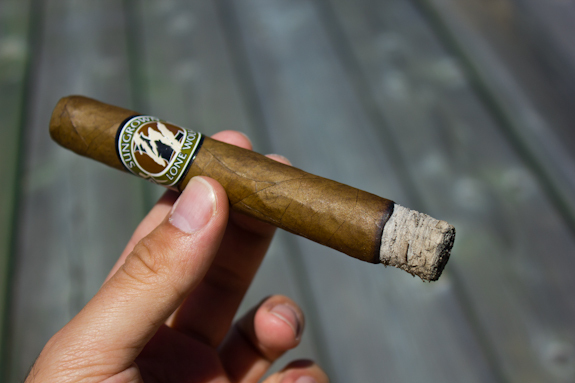 Where would be the best place to obtain some Lone Wolf Sungrown cigars in Ontario? Sorry Foxjump, I don’t know any local retailers that carry this cigar so you’d have to order it in from the states. Feel free to email me if you want a good suggestion for a US source. If they did sell these in Ontario you can be sure they would be worth at least $6-$10 each. Where are you located in Ontario? 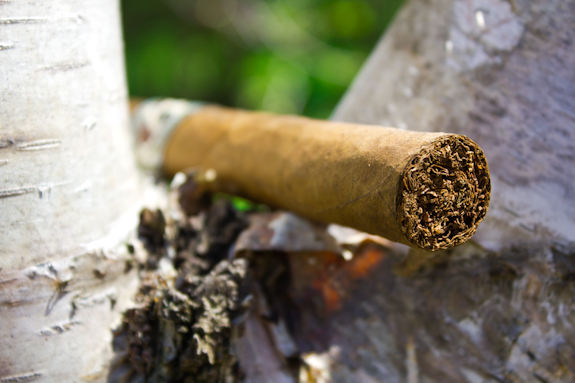 If you’re near by we should get together and share a good cigar!